Puppetry workshop with PigPen Theatre Co.
Stuart Carden is a director, deviser, producer, educator and new play specialist based in Chicago. Stuart has worked across the United States building new plays, ensemble generated projects, multidisciplinary performance and actor/musician driven theatrical storytelling. An artist with eclectic taste and wide-ranging interests Stuart has developed new works that range from of-the-moment realistic drama to immersive spectacle. He has a passion for building theatrical stories and live performance that puts audiences at the center of the theatrical event and inspires them to experience rather than witness. This style of work fires the imagination, gets the heart pumping, people talking and breaks down boundaries between audience members and performers. Since 2015 Stuart has worked as a freelance director and producer building projects with The Old Globe, The Lyric Opera, The Second City, New Victory Theatre, Williamstown Theatre Festival, Writers Theatre, People’s Light, ArtsEmerson, The Repertory Theatre of St. Louis, Philadelphia Theatre Company, Chicago Children’s Theatre, and his most frequent collaborator, City Theatre Company. Two upcoming projects (Fall 2018) exemplify Stuart’s artistic passions -- the World Premieres of Such Things as Vampires, a music driven, feminist lens adaptation of Bram Stoker’s Dracula co-created and directed by Stuart at People’s Light and the world premiere adaptation of Jane Austen’s Mansfield Park by the acclaimed playwright Kate Hamill at Northlight Theatre. With choreographer Steph Paul and stage manager Patti Kelly in rehearsal for The Royale. With a commitment to inclusivity and diversity Stuart has chosen and cast projects that feature playwrights and performers that are under-represented on American stages including Marco Ramirez’s powerful and theatrically thrilling boxing play The Royale about the first black heavyweight champion of the world, Nina Raine’s brilliant play Tribes that charts the coming of age of Billy, a young deaf man as he rebels against his hearing father and family, and casting for the first time ever in the classic TYA musical A Year with Frog and Toad, actors of color in both title roles. This commitment to inclusivity is grounded in the belief that all voices deserve to be heard, lifted, and illuminated and audiences deserve to see themselves reflected on the stage. With actor/musicians Emily Casey and Richard Juarez. As the Associate Artistic Director of Writers Theatre from 2009-2014, Stuart partnered with Artistic Director Michael Halberstam to craft five groundbreaking seasons. 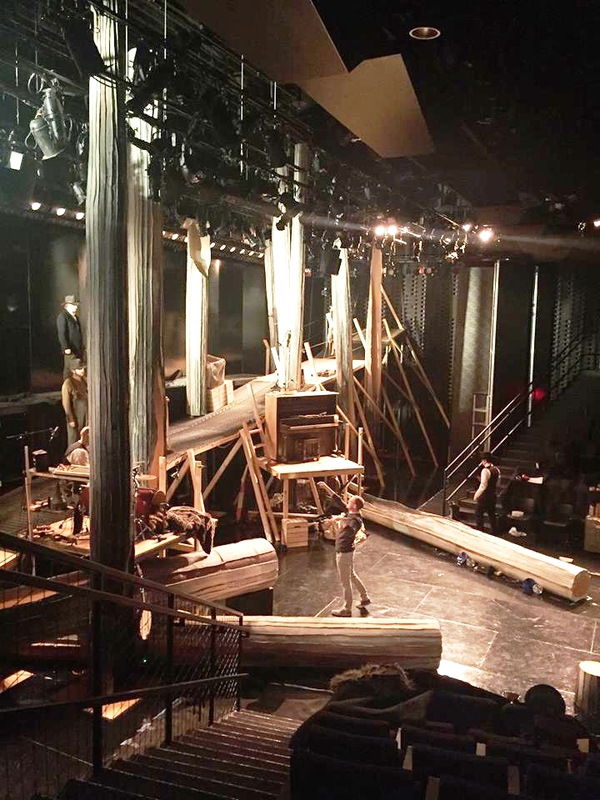 During his tenure he line-produced over 25 productions, developed over a dozen new works, cast more than 150 performers and was intimately involved in the design of Writer’s new $32 million theatre complex designed by renowned architect Jeanne Gang of Studio Gang. As the leader of the company’s heralded Literary Development Initiative Stuart landed and facilitated projects ranging from the U.S. Premiere of Conor McPherson's The Dance of Death and Laura Eason's World Premiere Musical Days Like Today to introducing Chicagoland (and much of the country) to PigPen Theatre Co. with The Old Man and The Old Moon. Prior to Writers, Stuart spent two years as the Associate Artistic Director of City Theatre in Pittsburgh. Stuart holds a B.A. in Theatre and Biology from Hanover College and a M.F.A. in Directing from Carnegie Mellon University. He has taught directing, acting, movement and collaboration at Carnegie Mellon University, DePaul University, Northwestern University, Loyola University, Lake Forest College, College of DuPage, and Beloit College. He is a member of the Society for Stage Directors and Choreographers and is represented by the inimitable Beth Blickers at the Agency for the Performing Arts (APA). Stuart is married to contemporary art and social practice curator Neysa Page-Lieberman and is dad to six-year-old twins Dashiell and Griffin Page-Carden.